Mobile Reporting has the potential to be more than a buzzword for geeks. Here is an example of smartphone storytelling that changed my perception of shooting on an iPhone and improved my workflow as a videojournalist. By Sandra Sperber. This is an excerpt of my presentation at Mojo Con 2 in Dublin. How can we cover the refugee crisis from a different perspective? 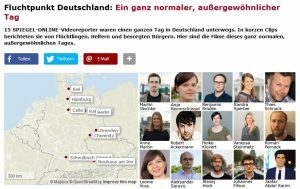 In November 2015 we were looking for new ways to report on the influx of migrants for Germany’s leading news website SPIEGEL ONLINE. I came up with a new format that we called „Video News Blog“. 15 journalists were sent to different locations (e.g. a refugee shelter or anti-immigrant protests) all over Germany. Some of them were in teams of two but most of them worked alone. The task was to create short videos providing an impression of a normal day in a very exceptional situation. Videos ranged from pieces to camera or sound bites to edited stories with voice-over. We tried to produce and post the videos as fast as possible – using the advantages of mobile reporting – to create an (almost) live experience for our users. Check out the blog on SPIEGEL ONLINE’s website. 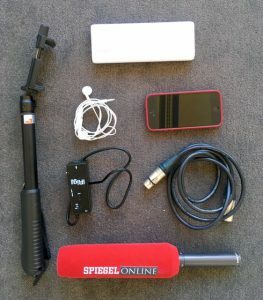 This is the gear that I used: an iPhone, a simple selfie stick, the iRig Pre with a boom microphone, headphones and a portable battery to recharge the phone. Most of us filmed with Filmic Pro, edited – if necessary – with iMovie, compressed the clips to upload them faster and sent them with FTP Client Pro to our Content Management System. Keep it simple: Set the technical barriers as low as possible. Don’t scare your team (especially those reporters who are not used to shoot video) with a complicated workflow. Learn from it: Where and when does mobile reporting make sense for your organization? We were impressed how fast we could send footage from the field to our newsroom. So we adapted a similar workflow for breaking news reporting. 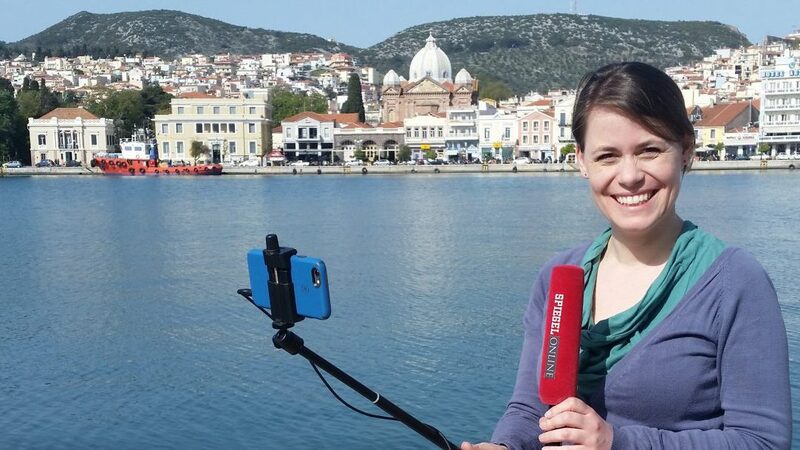 Make Mobile Reporting the new normal: Most of us are used to taking pictures with their phones when something newsworthy happens right in front of them. And it should be the same for video. Simply use your phone and start recording. Dies ist ein Auszug meiner Präsentation bei der Konferenz Mojo Con 2 am 29.04.16 in Dublin.